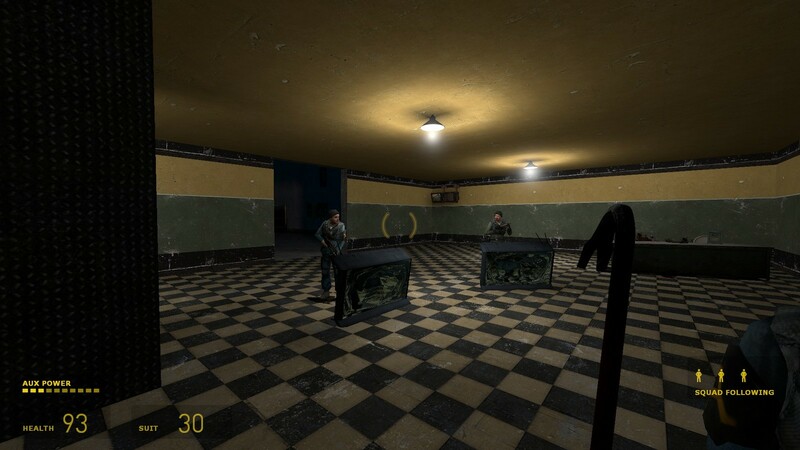 A straightforward map with a series of rooms that finish with a final fight with 3 Rebels. 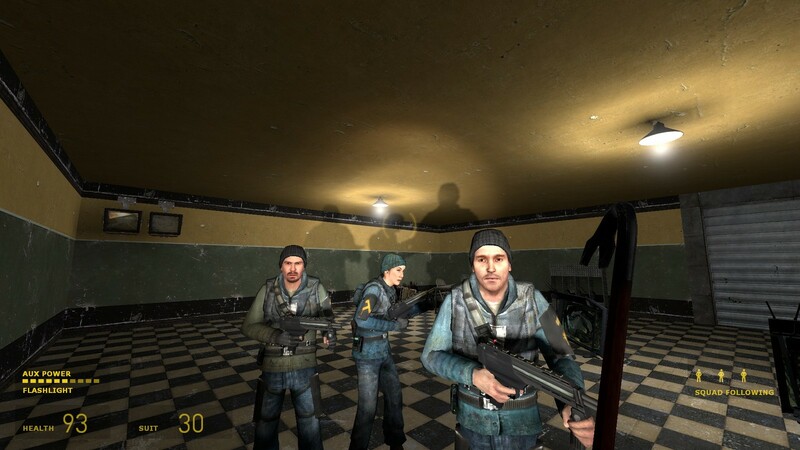 You are taken through a few different styles of rooms and encounter zombies and Combine. Copy freedom.bsp into your Half-Lfie 2 Maps folder. Open the console and type map freedom. Architecture: Freedom has a very basic look, all rooms are squares and there is little in the way of brush built detail. 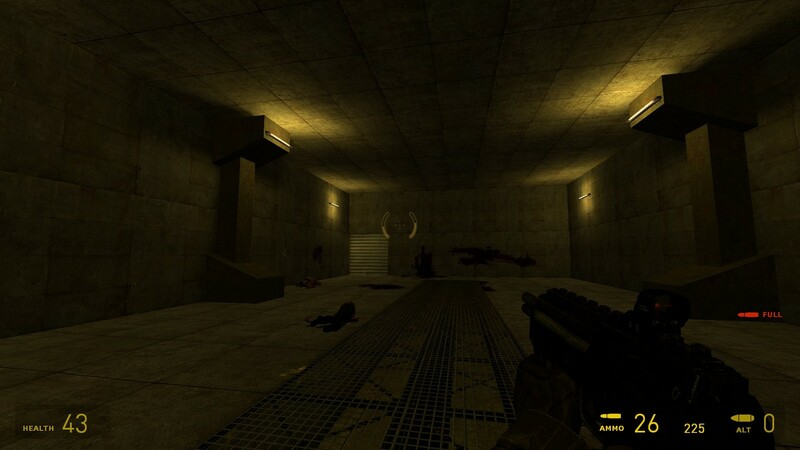 Layout: The layout is pretty well planned; you always have enough ” weapons” to take on your enemies however the start of the level was very slow, you can only beat so many zombies to death with a crowbar before you get bored. 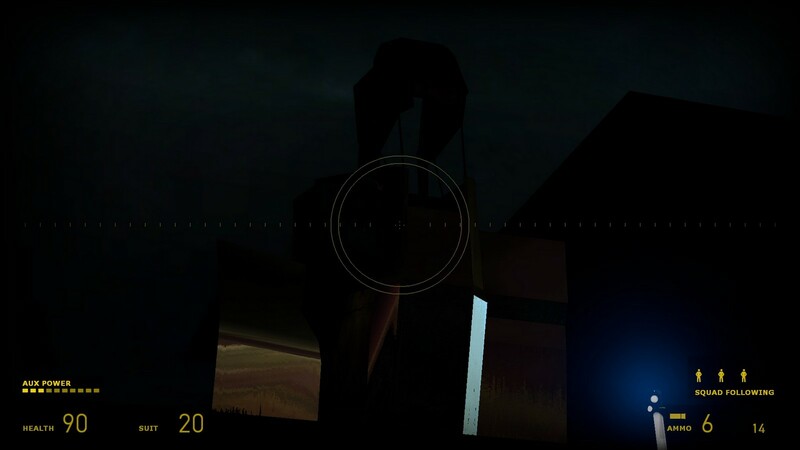 Lighting: Lighting is a little bit dark in this map but I get the impression that is intentional. Atmosphere: There isn’t really an atmosphere to speak of. 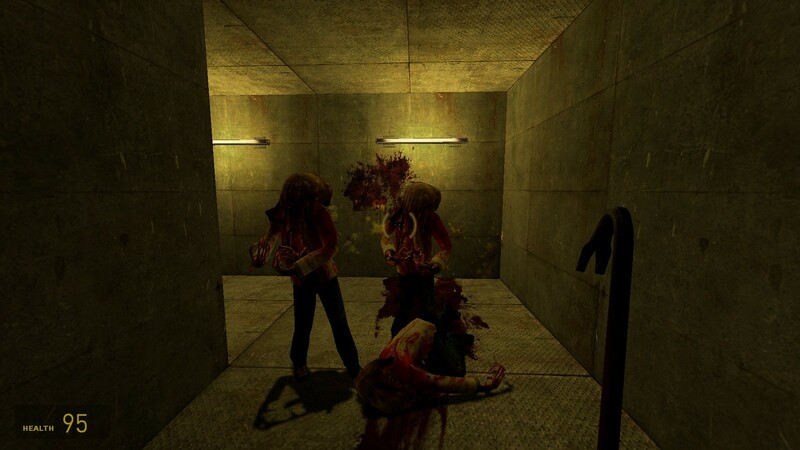 Your just plonked into a selection of bland rooms all filled with zombies and at one point some combine to fight with as well. There is no real goal or anything of that sort other than to reach the other end of the map. Difficulty: Easy for experienced gamers. Zombies aren’t the sharpest tools in the box though one point with a bunch of poisoned head crabs can get a little dicey. No one should really have a problem completing this map. Other notes: The map is worth playing just for the fun of beating it. Nothing annoying really happens to hinder the player. it’s quick, easy to pick up and understand; all in all a less-ambitious and skilful but well executed map. I was going to go on a small rant about why mappers keep trying mix crowbars and normal zombies together despite how extremely simple the strategy becomes after the ten millionth round, but that’s not necessary. Short and not buggy. Two pluses for me. Very short, and not buggy as said. No real reason to play it, but no reason to avoid it, either. It’s very adequate. I enjoyed the challenge. Worth a play, I say. 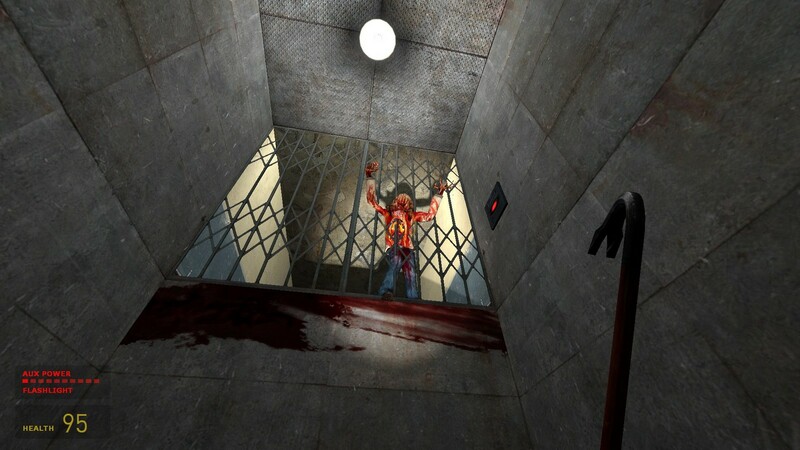 This release looks very amateurish in places and often makes no sense whatsoever, but some of us need our daily zombie/combine/crowbar fix and this could be it for you. There is the obligatory coloured lighting and large empty rooms. In fact, as I write this, I am wondering whether I was too generous with my MAYBE rating. It’s short, simple and – debateably – fun. You start off killing zombies, then you end up shooting combines. Nothing more, nothing less. The mapping, the lighting and the layout are all very basic. 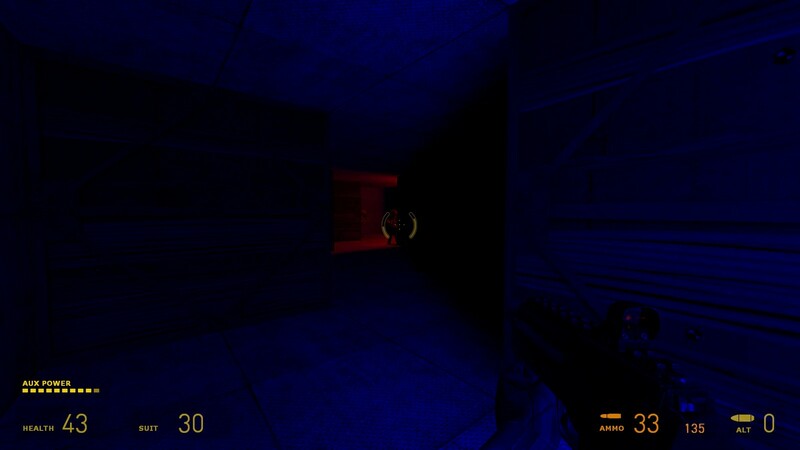 The map feels kinda blocky and there’s a room that has very weird lighting. Other than that, the map feels very amateurish, like it’s a first map. If you wanna waste 5 minutes to kill some zombies and some combines, then this is for you. Bland, linear, and terribly boring. 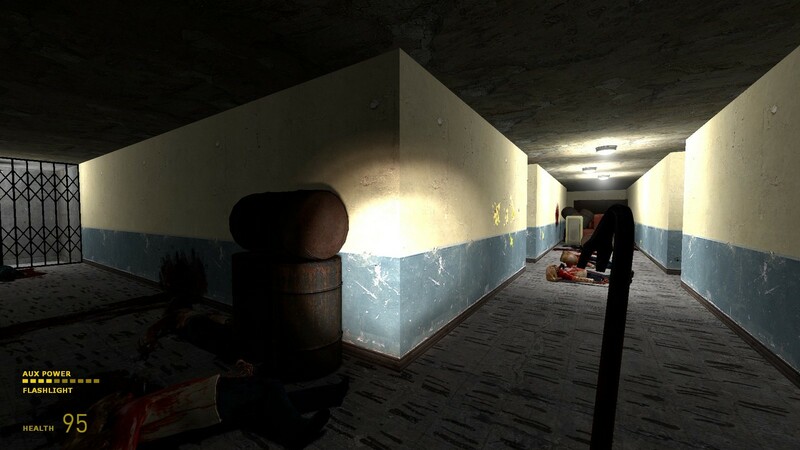 You go through room by room and fight zombies. 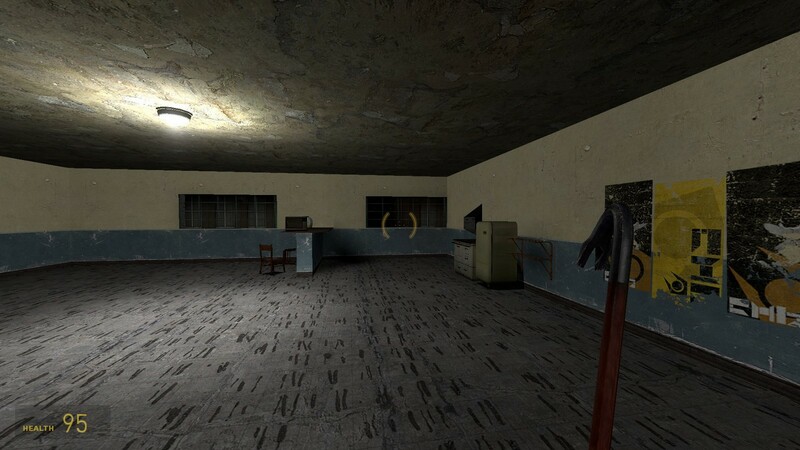 The rooms are boring and not detailed, and the combat is uninspired to put it nicely. 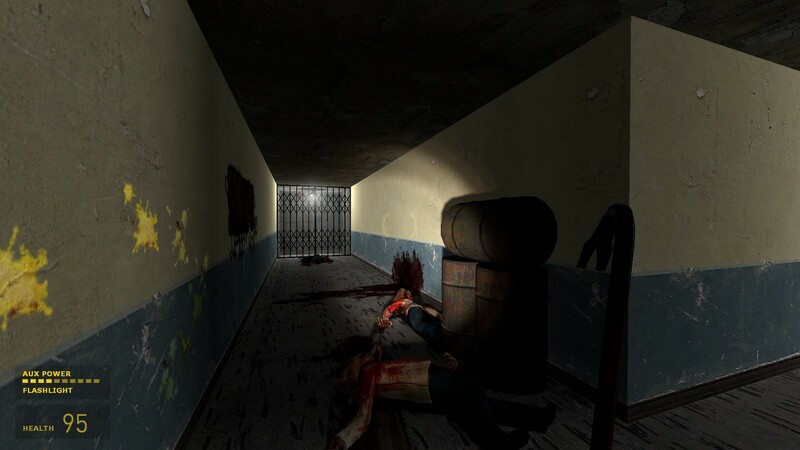 Then there are dark corridors filled with zombies, leading to a not so big showdown with some Combine soldiers. Then a blank wall is your end reward for wasting 6 minutes of your life. Play it when you run out of the others. 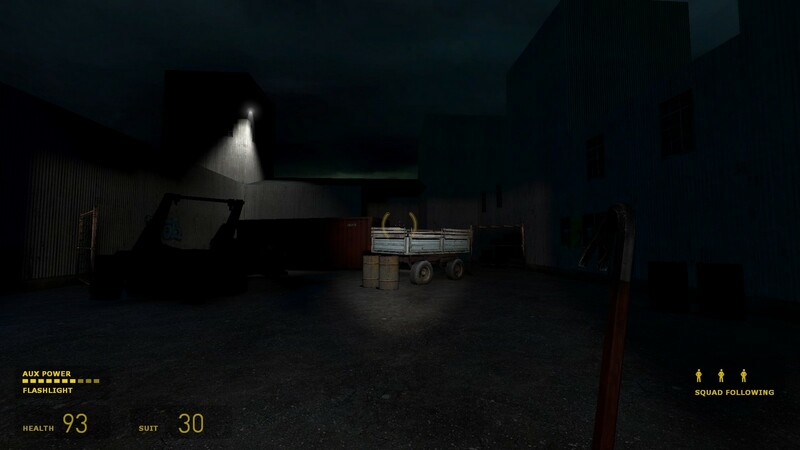 Basic map with Zombies in the dark and Combine at the end. It was still fun. A simple and short map. Nothing big or new to see it. 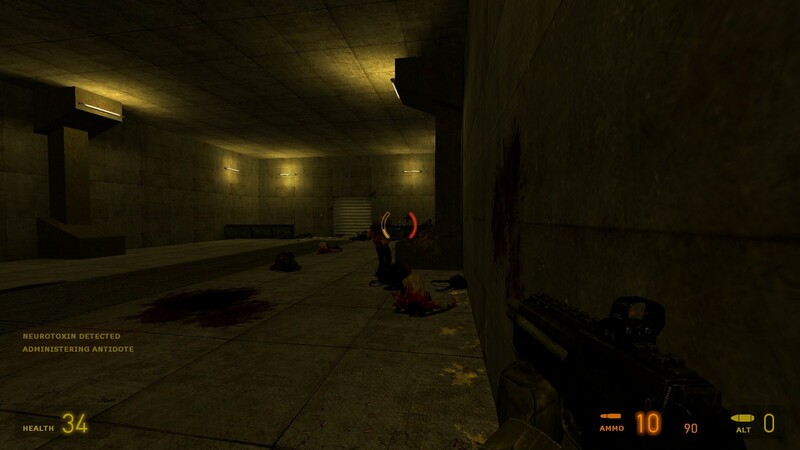 Just a very fast-paced ambiance, with lots of zombies and an out of nowhere combine soldiers to attack you. Rushed and cliche end. Honestly kind of fun. I get the feeling of a DOOM level from this. I had some problems with the level though that kept me from making it a level higher. The elevator was too slow, I know this seems like a dumb reason to be mad at the map but it just made me feel like it was a artificial level lengthener. Another issue I had was there is this computer with 2 lambda logos near it. 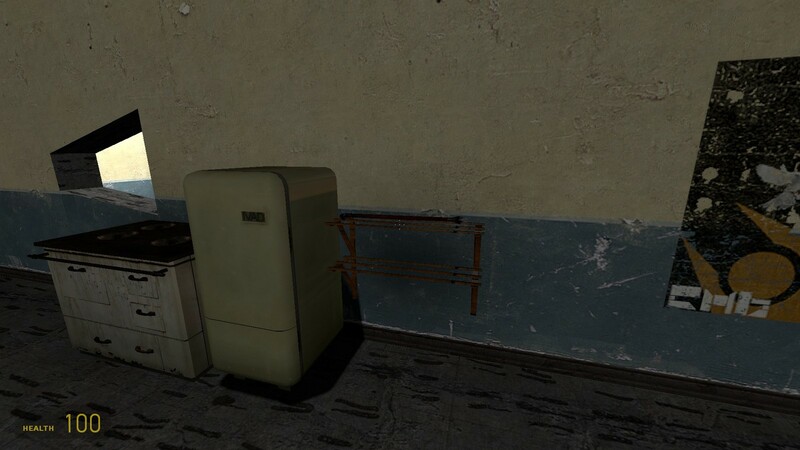 I spent a few seconds trying to find a secret or interact with the computer, but it didn’t do anything, I don’t know if I missed anything or the lambda’s were just there for no reason. But all in all I rate this a 6/10. The passion is there, I feel there should be a few things refined and the level should be made longer, maybe a few more rooms before you reach the end. But it’s definitely worth a play if you have nothing better to do. I guess the expression: “to shoot fish in a barrel” suits perfect for this map. But instead of the word “fish” change it for “zombies” and you got it. That’s the perfect way to describe this. Maybe it was done for an amateur developer, but there are even others amateur first releases that are better than this one. Sorry, I am not in the better mood today. So, Think Twice. I also agree. 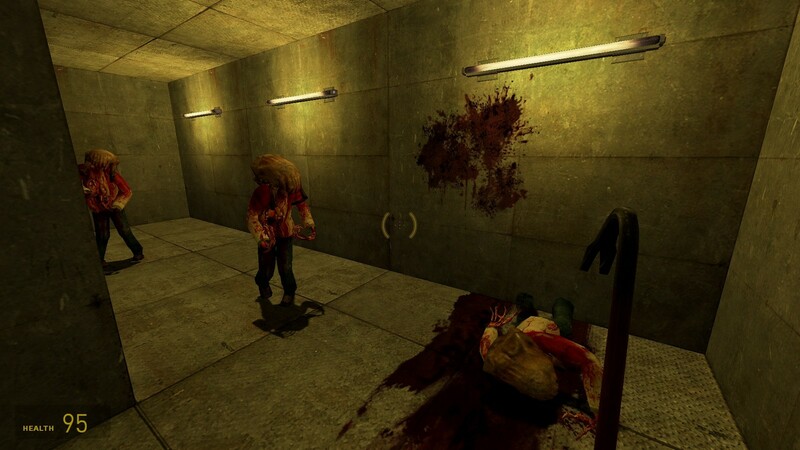 It’s basically a repetitive zombie bash through several bland areas which are mostly dark. I actually got tired of clubbing these guys after a while. The rooms before you meet the resistance are tiresome… And then it ends shortly after… There are better maps out there, folks! Didn’t get any enjoyment out of this. This is such a map where the creator just put 50 zombies in one room, repeated the process and put it online. The only part that comes close to being fun is the final battle with the Combine, but it takes about one minute and after the dreadfulness I had just been through I couldn’t get myself to have any fun. Not recommend under any circumstances.